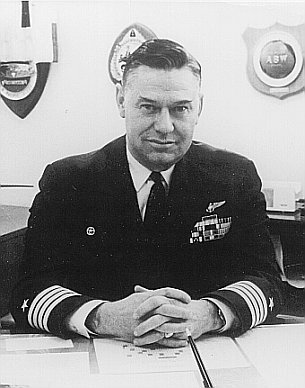 Marion Hugo Buaas, Captain USN Ret. Captain Buaas graduated from the U.S. Naval Academy in 1938 and was assigned to the cruiser Houston. In 1941 he was assigned to a vintage, makeshift destroyer in the Asiatic Fleet. The Isabel was officially judged the fleet's ship of least military value. "We were expendable". Underequipped and out manned, the Isabel survived some harrowing missions before and during World War II, and Capt. Buaas went on to complete a 30 year military career. �In 1944 he received a pilot's commission and began flying blimps in search of Japanese submarines along the west coast of the United States. After the war, Capt. 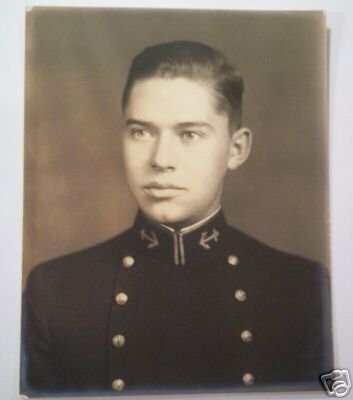 Buaas was assigned to Stanford University, where he taught engineering to midshipmen enrolled there. �Before the Korean War, he bought a home in San Diego. But his duties would take him elsewhere. He was Captain of destroyer John A. Bole during the war, and returned to San Diego several years later to take command of the USS Skagit AKA 105. He passed away at age 83 on April 7,1999 at his Point Loma home, and is buried at Fort Rosecrans National Cemetery.